Discussion in 'Transformers Fan Art' started by Drift, Aug 31, 2010. Which do you prefer: G1 BLUE OR MOVIE SILVER. If i have any left over money im going to attempt some minions. At the moment i have rumble and frenzzy mock ups. At a later date im ight use styrene (Can't find anywhere selling them) to make piledrives. Good idea for soundwave, but you might look into motorcycles for the minions, to me the lesser size vehicle emphasizes soundwaves larger size, and implies his superiority. 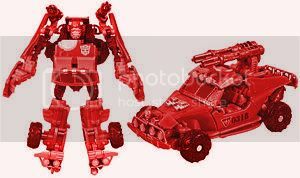 That and scout ransack(I think that's his name) would look good in frenzy and rumble colors. I think 2 Brimstones would make a superior set of minions. 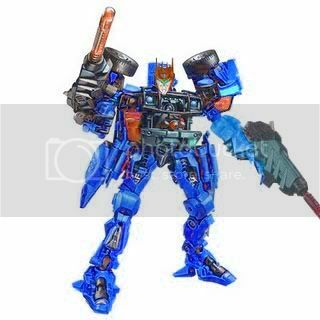 I don't want to shoot down your idea, but I had the same idea with Soundwave using Ratchet's body. Soundwave's head doesn't fit very well on that ball joint--it DOES however fit very nicely on the Brawn mold, which is also based on a Hummer (albeit the ones NEST used). The gaps in Brawn's chest also kind of resemble the circular orbs Soundwave's deluxe toys have. I like the silver, but it needs a little bit of blue and gold here and there.